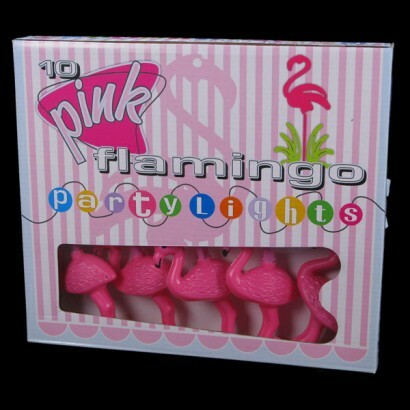 String lights that are designed in the shape of flamingos, these indoor Flamingo String Lights are 2.2 metres in length and are a great decoration for parties etc.With a total of 10 flamingos, these string lights will glow a soft pink which makes it ideal for decorating girls bedrooms too. 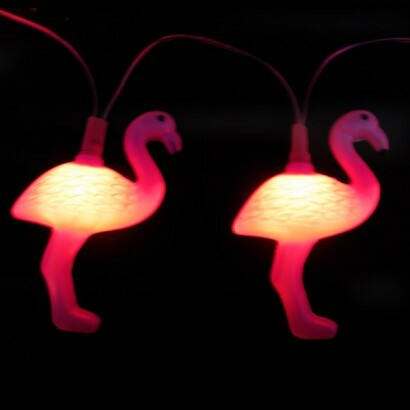 Pink Flamingo lights that are great for decorating. 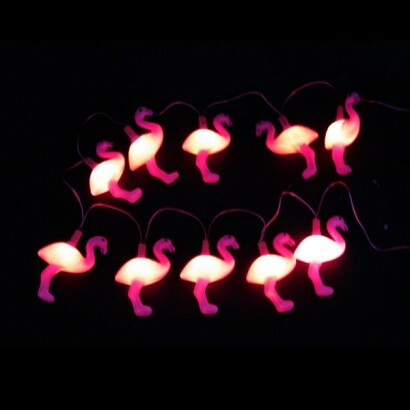 10 Pink Flamingos on 2.2 metres length wiring.